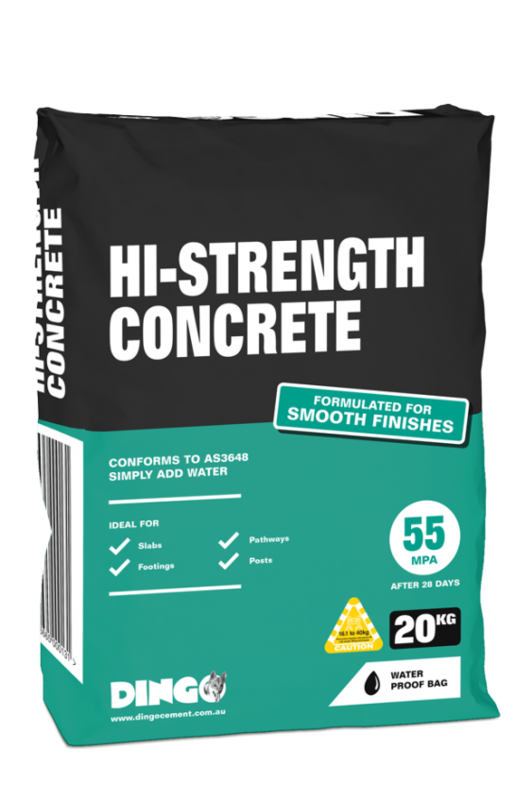 Dingo Hi-Strength Concrete is a dry mix blend of concrete, sand, stone and cement. Sets at 55mpa. It is suitable for constructing pathways, posts, slabs, footings and foundations where extra strength or high surface finish is required. 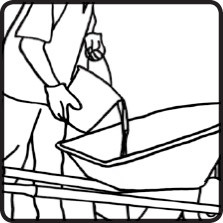 It is up to 2 times stronger than regular concrete and is specially formulated to trowel to a smooth finish. 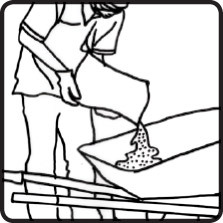 Eight 20kg bags of Dingo Concrete Mix will make approximately 1.5 square metres of concrete to a depth of 50mm. 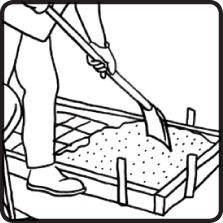 Example 5 square metres: 5 metres long by 1 meter wide and depth at 50mm will need approximately 26 bags of 20kg Dingo Concrete. For more Safety information refer to SDS sheets.